Margaret Evans Price (1888-1973) was an internationally known painter and author who, in 1909, married Irving L. Price. In 1920, they with their 3 children moved from New York City to East Aurora. Mrs. Price’s work had a distinctive style and could be seen in many of the children’s and adult books that she wrote and illustrated with Rand McNally and Harper Bros. In addition to books, she illustrated hundreds of special occasion postcards. In 1925, Mrs. Price executed her most important works-two murals for The Aurora Theatre which were installed for its opening. The two murals –Imagination and Memory-are colorful and whimsical featuring young nymphs offering words of guidance for the audience. 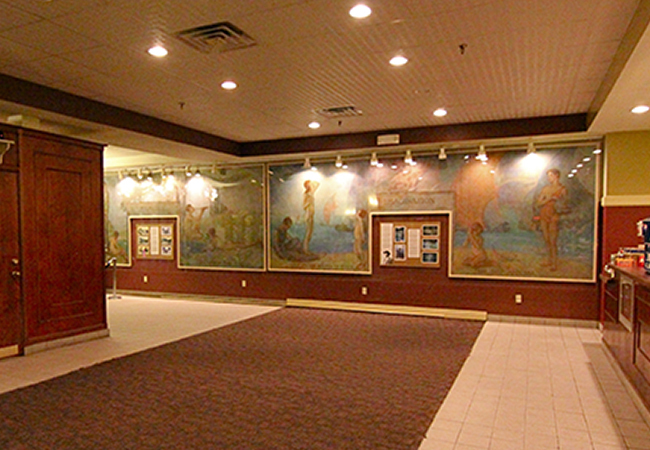 The murals were a fixture in the auditorium until 1950 when there was a change of ownership of the theatre. A local resident secured the murals as part of the Aurora Historical Society’s collection. 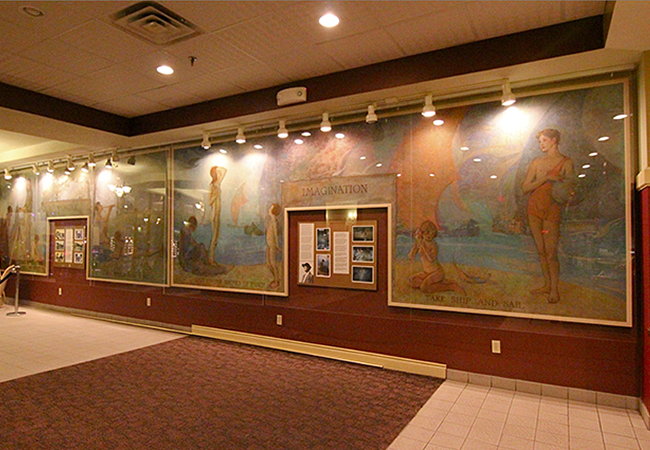 In 2000, through the generous support of the Aurora Art Films Society, the murals were restored under the direction of James Hamm, Associate Professor of the Conservation Department at Buffalo State College. Once restored, the murals were brought back to The Aurora to be shared once again with guests and moviegoers. 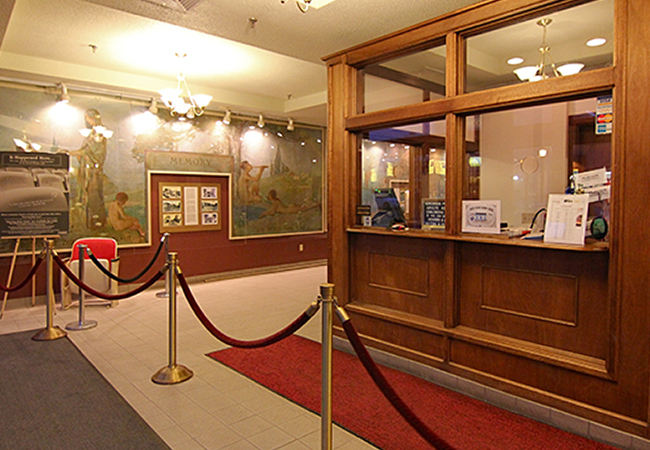 The Aurora Theatre thanks The Aurora Historical Society for having the murals on loan to the theatre for all to enjoy.